Martha Needle was very hazardous to the health of many people who came into her life. SHE tossed and turned that last night, sleeping in fits and starts. She lay in the dark as the hours passed by agonisingly slowly, and yet, not slowly enough. As the sun chased away the night, Martha Needle rose to wash and dress. Nerves had snatched her sleep, but they hadn't affected her appetite. She ate well, turning the pages of her Bible and hymn book while raising the spoon to her mouth. Soon the chaplain came to sit with her. She did not want to talk to him. She did not want to talk to anyone. She wanted no prayers said for her. They came for her at mid-morning. The sheriff stood at her cell and demanded her presence. They opened the door. The governor stepped inside. The hangman and his assistant followed. They bound her arms with leather straps and walked her outside. Sixteen people sat below her scaffold. Dozens more had wanted to see her hang but authorities would only allow a small group. Nine of that 16 were pressmen, paper and pen in hand. They stared at her intently and she glared back. They were curious about her lack of fear. She did not tremble or cry. She just looked at them with defiance. "Have you anything to say?" the sheriff asked. She paused - and scowled at her waiting audience. "No sir, I have nothing to say," she replied. They positioned her on the drop and she stood in place as the noose was looped around her neck. Silence. The seconds hung in the air. The newsmen leaned forward, their breath caught, their pens poised. Then, the clunk of the lever. Martha Needle dropped to her death. It was over. A picture of Martha Needle from the Old Melbourne Gaol Collection. 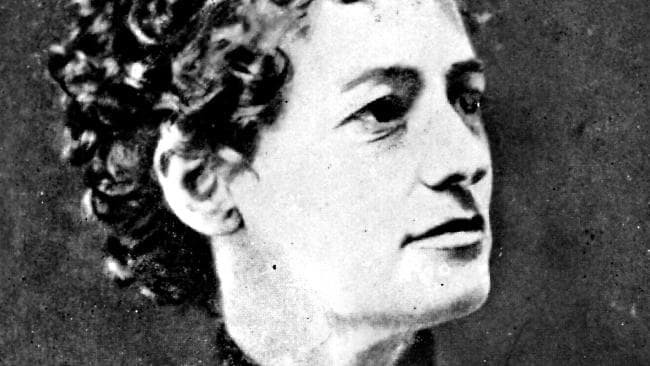 Martha Needle was born in South Australia in 1863. Her upbringing was difficult, her home life marred by violence and abuse. At the age of 17 she married her sweetheart, a carpenter named Henry Needle, five years her senior. In 1882 they had their first child - a daughter named Mabel. Elsie was born a year later. When Elsie was two, the family left Adelaide for Melbourne, settling into the inner-city suburb of Richmond. They were happy at first. Neighbours described the relationship as "comfortably situated" and "well matched". Then, at the age of three, little Mabel fell ill. The doctor came but the little girl steadily got sicker and died. The little girl's life had been insured for £100 (then a significant sum). Henry left to find work in Sydney but returned before long. By then, their once-happy relationship had soured. Martha was often seen out alone. Her husband became a morose, sullen and jealous man. He became controlling and violent. May was born a year after Mabel died. The Needle household remained an unhappy one. Then, in 1889, Henry fell ill. The doctor came and noticed he would not take any food prepared by his wife. When she came with meals prepared, he would wave them away. If she insisted, he would smash the plates to the ground. "Peculiar," Martha said. She was an attentive nurse, doting on her dying husband. When he died soon after, a doctor confirmed it was from inflammation of the liver and intestines, as well as exhaustion from refusing to eat. Henry Needle had wasted away, his insides eaten away. Martha collected his life insurance. This time it was double the amount. She asked the Trustees, Executors and Agency Company to handle the money on her behalf. 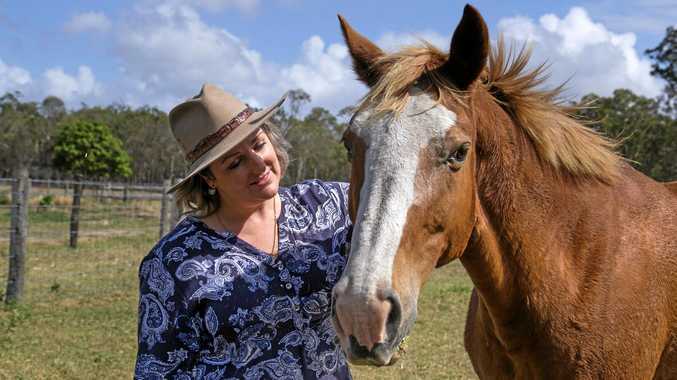 A third share was paid to her and the rest put into trust for the two remaining girls. 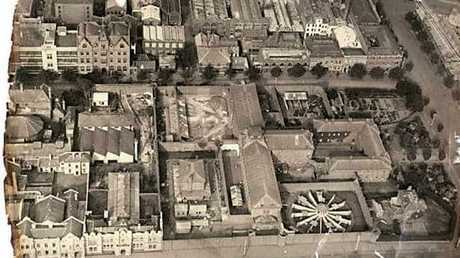 An aerial photo of Melbourne Gaol as it appeared in 1922. The following year, six-year-old Elsie fell ill. She battled the illness for three weeks, her mother by her side. A doctor ruled her death was as a result of "gangrenous stomatitis and exhaustion" - an illness that affects undernourished children living in poor, unhygienic conditions. Another year passed. When May was nearly five, she too got sick. This time, the death certificate said "tubercular meningitis". The remainder of the life insurance, held in trust, was paid to Martha. It was an enormous sum of money - and she spent nearly all of it on an elaborate family grave. She visited the monument regularly to pray for her husband and children. Martha had lost her entire family. She was the only one left. She went to an old friend from Adelaide, Louis Juncken, who with his brother Otto, ran a successful saddlery business in Richmond. She took up a position as housekeeper for the men and moved into their home. Still an attractive woman, Martha caught the eye of Louis. But her eyes were elsewhere. Soon Martha and Otto were an item. He took her out to dinner and dancing. Soon, he proposed. Martha was ecstatic. Louis was not. He objected to his brother marrying their housekeeper and his family joined him in his disapproval. The couple received a letter from Otto's mother objecting to the planned nuptials on the grounds of Martha's apparent "weak health". It was August 1893 when Louis first fell ill. His health declined over two weeks. As he wasted away, he had a change of heart about his brother's wedding and decided to give the couple his blessing. Strangely, his health soon dramatically improved. 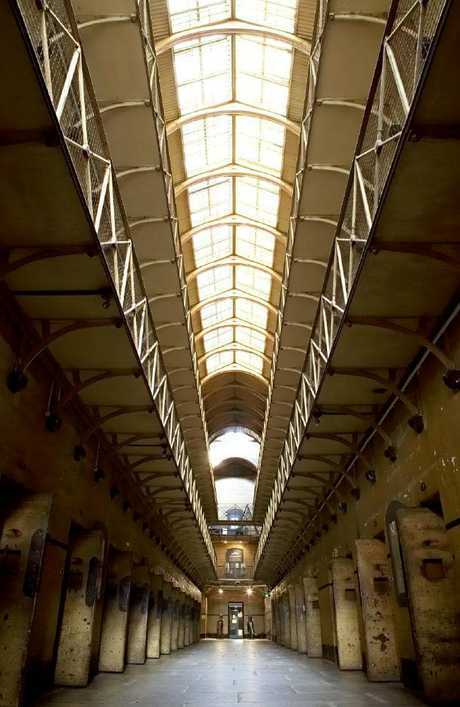 The cells of Old Melbourne Gaol as they appear today. Visitors can take a tour. The following April, he took to his bed with another bout of the same illness. He improved when a relative arrived to take care of him. But he died on May 15 after eating breakfast prepared by his future sister-in-law. After Louis' death, a third brother, Hermann Juncken, and his mother, arrived from Adelaide. Hermann told Otto the family would not consent to the wedding. It was over. He was to stop seeing the widowed housekeeper. Martha did her best to win Hermann over. She was at her most charming when she offered him a serving of scones with jam. She handed him a fresh brew of tea and he sat down to drink it. He was immediately violently ill. The doctor was called and Hermann was taken away to recover. Several days later he was back at Martha's table. Scones and tea were served and again he was violently ill.
Nobody had suspected a thing when Mabel died. Nobody was suspicious when Henry died soon after - not with Elsie, or May, or even Louis. But the doctor who'd nursed Hermann was immediately suspicious when he fell violently ill twice after eating at Martha's table. He called the police. It was decided that Hermann would be used to catch Martha in the act. He returned for a third time to drink Martha's tea. She handed him the cup and he blew a whistle to alert police. They burst into the room as Martha tried to knock the cup on to the ground. An officer rescued the brew as her hand reached to strike it away. The tea was tested. Martha had used rat poison - enough to kill five men - in her last attempt to kill another of her lover's brothers. The bodies of her other victims were exhumed. 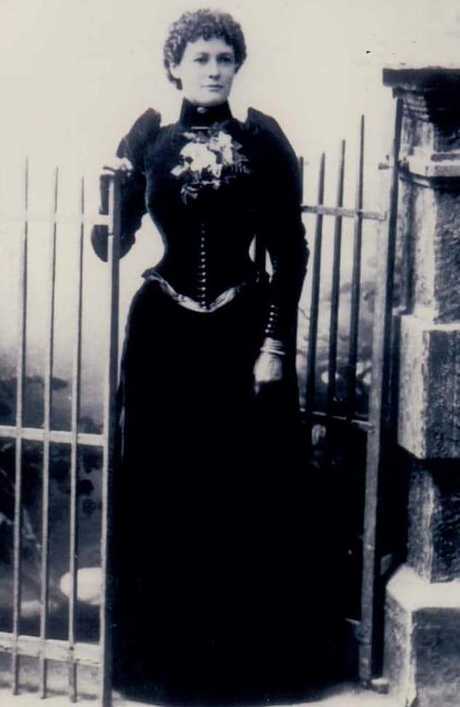 Traces of arsenic were found in all but one - Mabel's body was too badly decomposed. Otto stayed loyal until the end. She wrote to him on the morning of her death, as she waited for the hangman to take her from her cell. "My darling - as you wished me to write I will do so, but truly I do not know what to say to you on this my last morning on earth," she wrote. "In a few hours I shall be free from all sorrow, but you, dear Otto must live for a time. "Rest assured we shall meet again where there is no parting. "I must now say goodbye to you for a time. When you receive this you can think of me as being in a happy home with my loved ones, waiting and watching for you. "I know, dear Otto, that you will get ready for that happy meeting with us all. "With love and sympathy from your loving Martha."